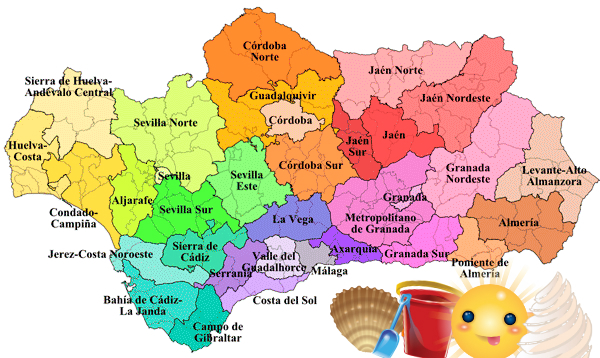 If you have plans to visit Andalucía this map of southern Spain could prove a useful guide. The map of Spain highlights popular tourist spots such as the Costa del Sol, Poniente de Almería, Campo de Gibraltar and Bahía de Cádiz. 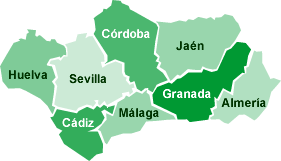 Below it, you have a map of all the 8 provinces that make up Andalucía that include, Seville, Malaga, Granada Huelva, Cordoba and Almeria. 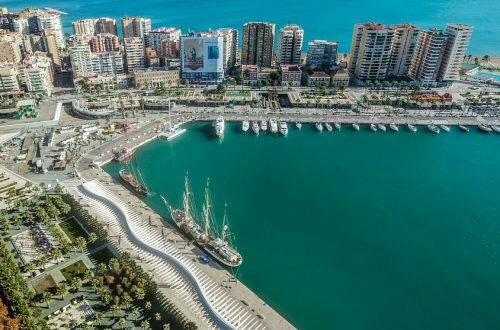 Most of the tourists who visit southern Spain arrive at Málaga–Costa del Sol Airport from which you have excellent road connections to every part of Andalucía. Below is a map showing all the roads that connect to the major cities. 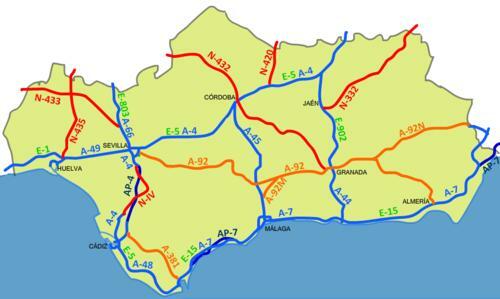 The main road in Andalucía is the A-7 often referred to as the Mediterranean motorway. From this road you have speedy connections to both Granada and Tarifa should you decide to rent a car at the airport. If you are staying at one of the resorts along the Costa del Sol do not miss the opportunity to visit the Old Town in the city of Malaga. 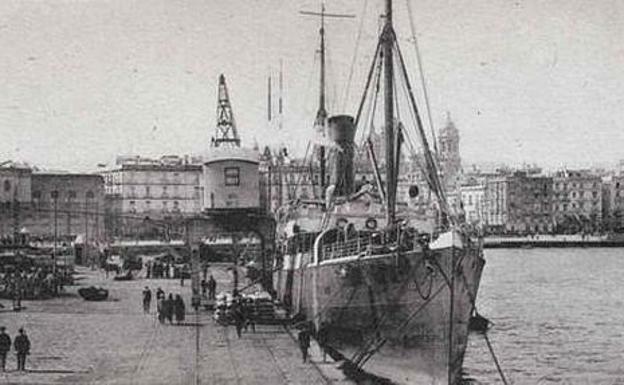 Malaga also has excellent museums, art galleries and the only Pompidou Centre outside of France. With so many historical places to visit, must-see tourist attractions can all be part of your holiday to do list. Malaga is a large province with amazing weather and is a good base to visit many of the villages and towns. East of Malaga you will find delightful seaside towns and villages such as Torrox, Nerja and Maro. To the West of Malaga you will find busier holiday resorts such as Torremolinos and Fuengirola. 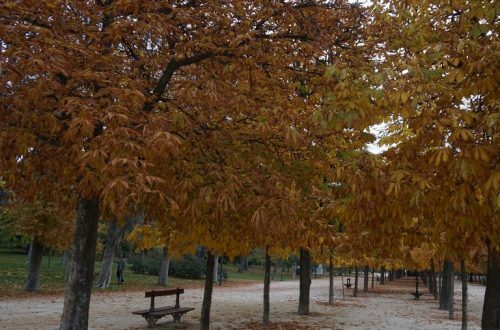 You may consider visiting other provinces such as Granada where you will discover the large Science park and the famous Alhambra palace Granada. We at HolaHubMalaga.com recommend seeing the Alhambra in Granada, the Cordoba Mosque, Malaga Alcazaba and the beaches in Tarifa. 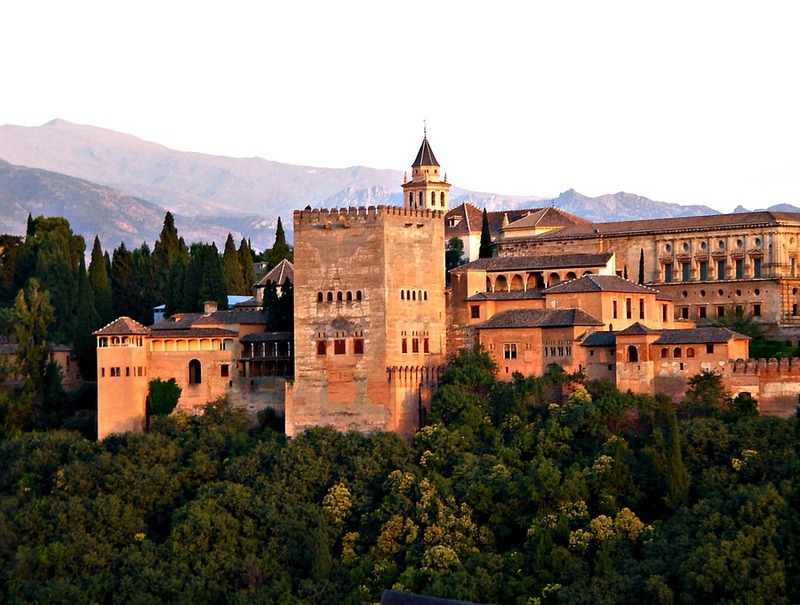 Alhambra in Granada: If you will be staying in southern Spain for a few days, be sure to visit the magnificent Alhambra in Granada. You need to book tickets in advance due to the popularity of the site, but don’t be put off if you have to wait a bit as Granada has many more attractions were seeing. If driving there from Malaga watch your speed as the motorway is littered with radar traps. Alcazaba in Malaga: Overlooking the city port and the remains of a Roman Amphitheatre the Alcazaba fortress is a must-see attraction and a great place to take photos of the city. Malaga Cathedral: Located close to the Alcazaba and Roman ruins it is possible to visit all three in half a day. Malaga Picasso museum – A large and well organized collection of Spain’s renowned artist. Tarifa Beaches: If you came to Spain for the sunny weather and beaches Tarifa and its miles of white sand will not disappoint. After a day at the beach, be sure to visit the town of Tarifa before the just under two-hour road trip back to Malaga. Nerja Caves – Nerja’s famous underground caverns discovered accidentally by a group of teenage boys. Actually situated just outside Maro, these caves are great day out for everyone.